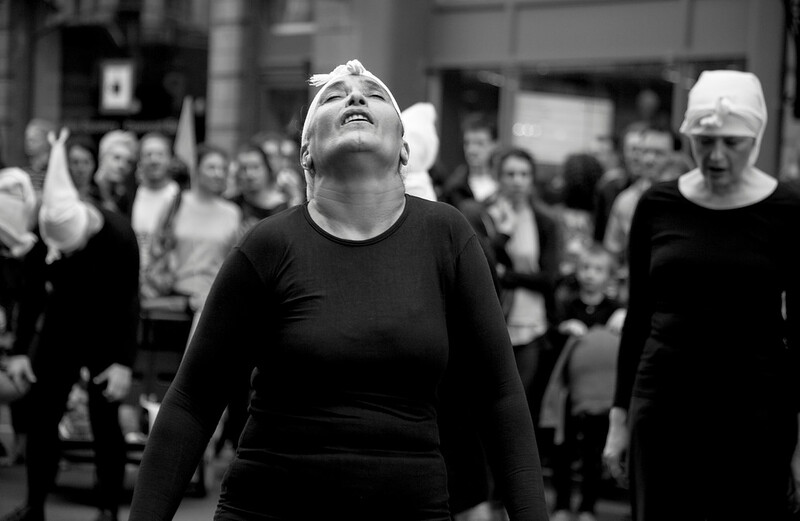 In her work Corbeaux, meaning ravens, Bouchra Ouizguen offers us an intensely cathartic experience. 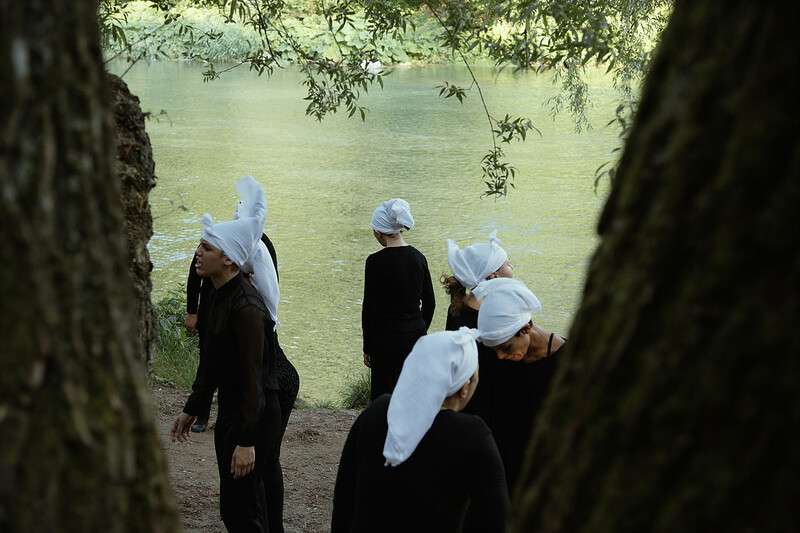 The piece expresses the Moroccan choreographer’s wish to make use of non-theatre spaces, with a ritualistic performance work akin to a living sculpture, a stirring display of movement and sound. A silent group of women dressed in black form geometric alchemical shapes before their extraordinary shrieks and ecstatic movement dispels all notions of time and space. The ensuing experience is both intimate and universal, and evokes raw emotions in the audience, linked to our cultural and spiritual origins. Its impact lingers leaving us feeling dazed and weary, as if we have just been on a very long journey. Free entrance. You don´t need to book a ticket in advance. Bouchra Ouizguen is a Moroccan dancer and choreographer. She currently lives and works in Marrakech where she has, since 1998, focused her energies in developing the local dance community. As a self-taught dancer since her youth, Ouizguen’s first experimental pieces were inspired by her interests in cinema, literature and music. Her concerns with Moroccan society, visual arts and popular arts nourish her work. Corbeaux was first presented at the Marrakech Biennial in 2014. In 2017, she created the piece Jerada for the dancers of Carte Blanche, the Norwegian National Company of Contemporary Dance, which received the Norwegian Critics’ Association’s 2017 Award in the Dance Category. Kunstnerisk leder / Artistic director: Bouchra Ouizguen. Kunstnere / Artists: Kabboura Aït Ben Hmad, Khadija Amrhar, Zahra Bensllam, Fatima El Hanna, Milouda El Maataoui, Hasnae El Ouarga, Fatna Ibn El Khatyb, Halima Sahmoud, Malika Soukri, Joséphine Tilloy, Julie Viala. Produsent / Administrator: Mylène Gaillon. Produksjon / Production: Compagnie O. Co-produksjon / Co-production: Services de Coopération et d’Action Culturelle de l’Ambassade de France à Rabat. Logistisk støtte / Logistical support: French Institute in Marrakech.